Surveillance and reporting of H7N9 cases out of China has been both sporadic and inconsistent for more than a year, with some provinces announcing cases as they occur, and others burying their cases in EOM epidemiological reports. Even the best surveillance systems only pick up the `sickest of the sick', and that depends on how rigorously hospitals screen patients, so the actual number of cases is likely much greater than we know. Today Hubei Province - which has only reported one case since the H7N9 virus emerged three years ago - reports their second case; a live poultry trader who is in isolation and in critical condition. First the (translated) Provincial report, and then a report from Xinhua News. 2016 March 13, the province Diagnose neighboring provinces entered H7N9 influenza with severe pneumonia and severe sepsis and multiple organ failure (acute respiratory distress syndrome, septic shock, liver and kidney dysfunction) polycystic kidney disease, polycystic liver disease cases, the patient is engaged in poultry business activities. Ministry of Health and Family Planning Commission attaches great importance to the patient have been taken to isolate the treatment and management of close contacts, strengthen epidemic prevention and control measures for monitoring and health education. WUHAN, March 14 (Xinhua) -- A human infection of the H7N9 strain of avian flu has been reported in central China's Hubei Province. With severe pneumonia and sepsis, the patient has suffered multiple organ failure and is being treated in isolation, said the provincial health and family planning commission Monday. The patient is a trader of live poultry and was formally diagnosed Sunday, the commission said. 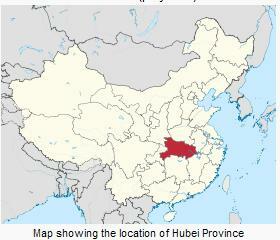 H7N9 was first reported to have infected humans in China in March 2013. It is most likely to strike in winter and spring. From September to Feb. 1, 44 H7N9 human cases, including 10 deaths, have been reported in China, 70 fewer cases than the same period a year ago, according to the National Health and Family Planning Commission. The decrease of reported cases has been attributed to tougher control of live poultry markets. The 44 cases cited above is an old number, with 27 additional cases announced in February alone. FluTracker's H7N9 line listing currently shows 77 cases for the winter of 2015-16, not including today's case from Hubei.